Whilst living in London, The Ivy on West Street was one of my go-to places for dining out. I am so very pleased to hear The Ivy is coming to Manchester, a city whose dining scene continues to enthral and excite me in equal measure. Yes, The Ivy Spinningfields is set to open its fashionable doors on Tuesday 27 November, offering Mancunians a unique dining experience set across four fabulous floors in the city’s financial district. 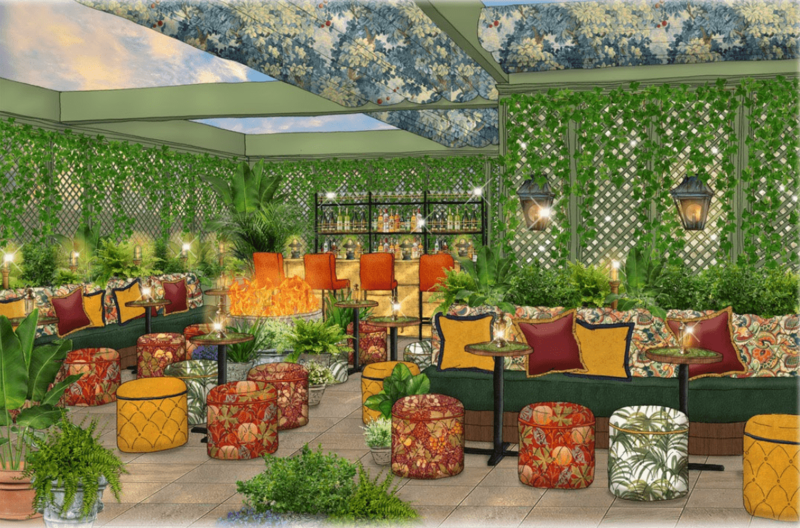 The restaurant will feature a ground floor brasserie, first floor private dining room, an opulent Asian bar and restaurant on the second floor and a sumptuous Roof Garden featuring fire pits and lush foliage on the top floor. 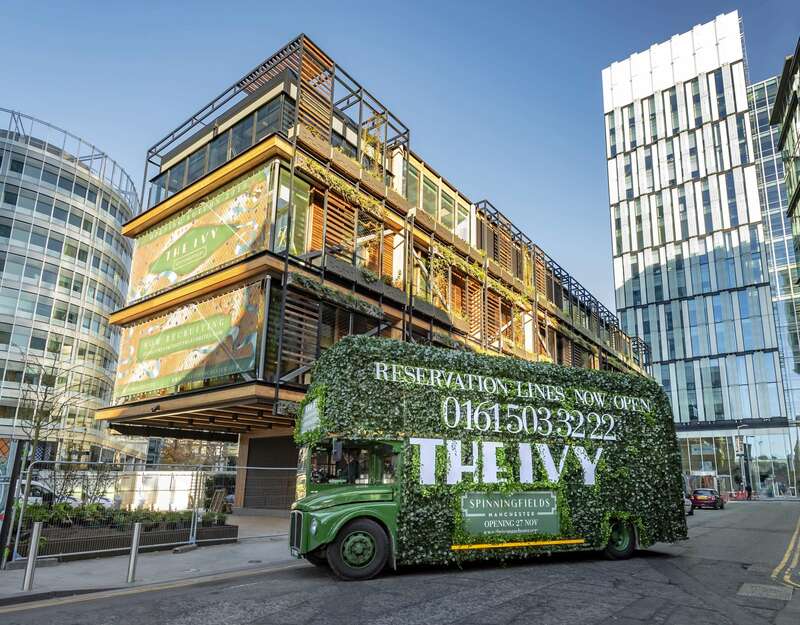 The Ivy Spinningfields will occupy an impressive, timber framed space within a new development, The Pavilion, surrounded by greenery yet located in the heart of the city. The second floor of The Ivy Spinningfields will be the first ever “Ivy Asia” – a glamourous bar and restaurant, serving Asian-inspired cocktails alongside dishes such as Wagyu beef with truffle sauce, salmon fillet teriyaki, and avocado, crispy tofu, lime and ginger dressing. 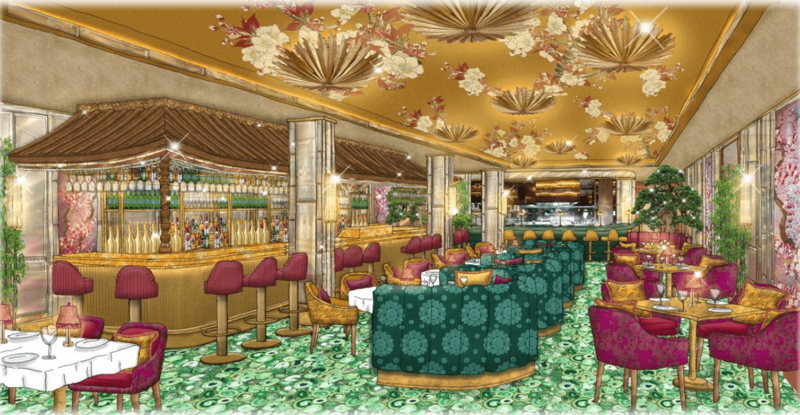 The entire floor will be illuminated with a show-stopping green, semi-precious stone floor, set against a striking antique gold mirrored bar, gold-gilt ceiling and luxurious Asian fabrics. The Geisha Room, a stunning private room with bespoke mirrored artwork, is also available to hire privately. Once open, the restaurant will host an exciting mix of yet to be announced guest DJs, events and entertainment on each of its four floors. Reservations can be made for all floors, whilst walk-ins will be welcomed for those wishing to experience either the Ivy brasserie, “Ivy Asia” or Roof Garden.